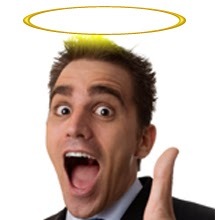 Ben's Blog: How's your Halo Effect? 'First impressions count'. We might all more or less agree with that. One reason why big brands or successful websites are so much ahead of others, sits in their awareness of just how much they count, to what extent they make or break the potential and how decisive they are. Much of this is due to the 'Halo Effect'. In psychology, this effect is one of the cognitive biases - a bias that is not cultural, social or an outcome of upbringing, but a bias we all share. It's deeply ingrained in our human programming. 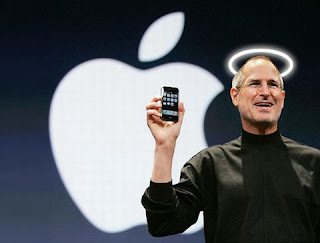 So, you, me, the platform you are on, we all suffer from that 'halo effect'. One action or trait can cover the complete person or product under your blanket of benevolence. A new acquaintance pays you the right compliment at exactly the right time. Now you think the world of that person. His arrogance becomes a sign of strength, his lisp charming, his unreasonable anger 'he always lacked a mother', and his car that is falling apart fashionable. In one second you have decided he's got quality - and now you see everything he does or says in that light. (The opposite is also true: someone who rubs you the wrong way, might become the devil in disguise. He did not only say something that offended you, he's an arrogant, lisping thug in a stupid car). From the split second your website opens, you and the visitor start off on the right foot. You want to generate benevolence within the first seconds. For that 'aura' will now lay as a beautiful, warm blanket over all your other web pages, everything you show and say. If the first impression was an astonishing one, you are being forgiven every broken link and spelling mistake. If the fonts are too small, the visitor thinks: 'this must be trendy now'. If your products are at the basis of slavery in Asia or mass destruction of forests in Africa, the visitor thinks: 'ok, you can't make an omelette without breaking eggs'. It's not different than us buying a gorgeously packaged shampoo instead of a, say, a good one. 'Better packaging must mean it's a better shampoo'. ... we're under the spell of the Halo Effect.